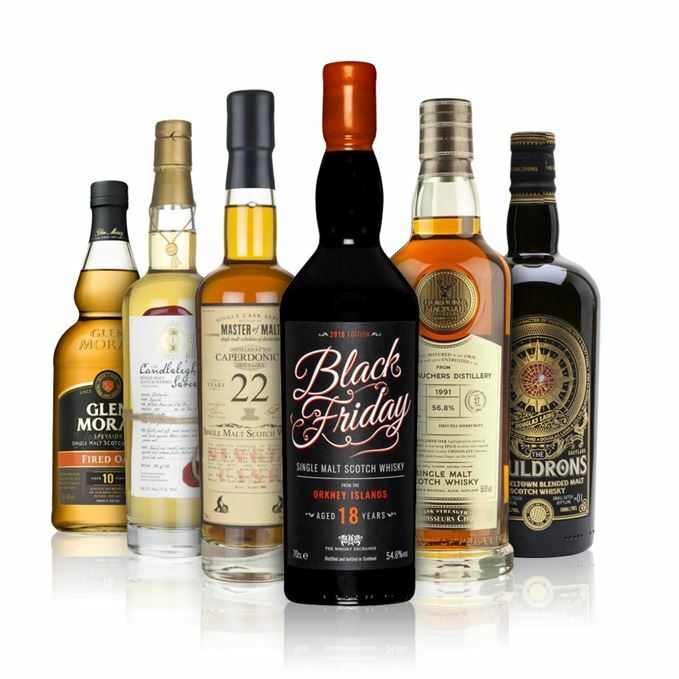 Dave Broom sizes up six new whiskies as we head into the weekend and that most controversial of shopping occasions, Black Friday. 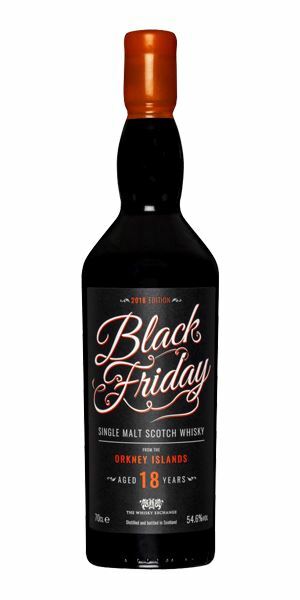 The Whisky Exchange’s Black Friday 2018 Edition, an 18-year-old from an unnamed Orkney distillery, starts ‘quietly intense’, and although Broom claims ‘you need to work at it’ he finds it ultimately worthwhile. 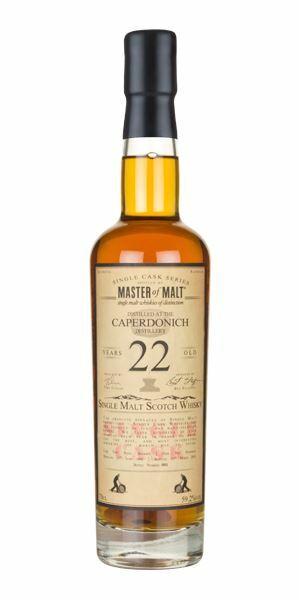 A 22-year-old Caperdonich from Master of Malt is a ‘cracking mature example’ from the lesser-known Speyside distillery. Earthy, meaty and bright, Broom finds plenty to get excited about. 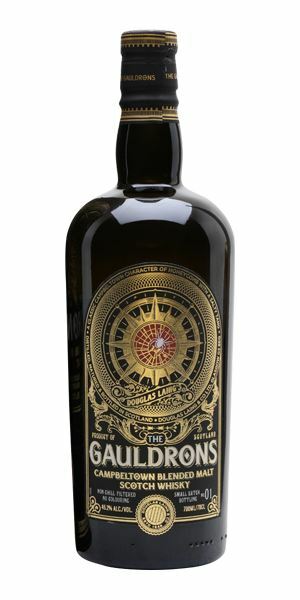 The Gauldrons Batch 3, a Campbeltown blended malt from Douglas Laing and Co., is found to have a ‘sweet start’ of sugared almonds that dips into green, sappy qualities on the nose. The Glen Moray 10-year-old Fired Oak, which has been finished in virgin oak, is all up front, with toasted wood (naturally), nutmeg and Crunchie bars. Broom concludes it’s ‘eminently quaffable and very keenly priced’ but bemoans its strength. A pair of Glentauchers to finish, with a 20-year-old by Whisky Illuminati. There’s no conspiracy here – it’s ‘rather lovely’ with balance and sweet floral elements on the nose. 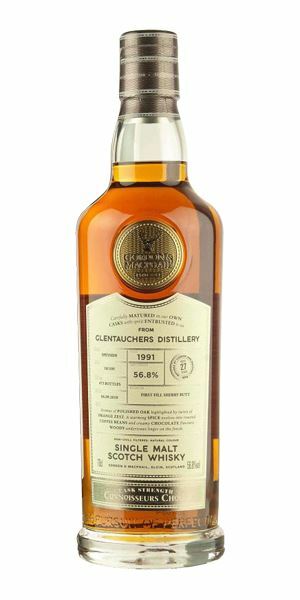 The second Glentauchers, a 27-year-old bottling from Gordon & MacPhail, was ‘made for the season’ with rich sweet fruits and pot pourri elements. Enjoy, says Broom – but keep the water on the side. This week’s playlist veers from the Cure’s upbeat Friday I’m In Love to the more melancholy Alcoholiday and Ajar – a perfect illustration of an average weekend. Lightly smoky and medium-sweet with a mezcal-like element: vegetal, white peppercorns, before a more Scottish note of heather bell emerges alongside wild mushrooms. The smoke drifts towards moor-burn but given some brightness from a hint of citrus, especially orange. Water brings the smoke further forward and introduces a slight fattiness. In time, there’s smoored or dampened fire, cacao, and charcoal. A little shy. Quietly intense. The sweet notes escape first, with lemon peel, apple blossom and a slightly floral edge. Expands well, adding in more of the smoke, oatcakes and butter, bay leaf and some sweet dried fruits. The agave elements re-emerge when water is added, but now it’s cooked and syrupy. You need to work at it but it’s worthwhile. After all, what else will you be doing on Black Friday? Who cares about the rest of the week? On Friday I’m In Love. Mature and nutty with a whiff of well-fired rolls, roasted hazelnut and a lovely oxidised quality. Water is needed to show the full range of complexities while an earthy note starts to come through, along with the smell of a just-fired shotgun. Slowly, steadily expansive with hints of light, nutty malt. By the middle of the palate it’s coating the entire mouth before an intense sumac-like burst adds brightness, counterbalancing the earthy, almost meaty qualities and the light tannic grip. Water reveals russet apples, quince and highly-scented pear. Caper is less frequently spotted these days and this is a cracking mature example, with more than a hint of a life spent in decayed decadence. A langorous Lounge Lizard in a Harlem Nocturne. A sweet start of sugared almond that’s given a dry edge by some wheat flour and a high-toned quality akin to banana and Bazooka Joe bubblegum. While things are green, celery-like and lightly sappy to start with, it begins to soften and sweeten in time. Water brings out tangerine, dried salt on oiled canvas and the tiniest hint of smoke. Much softer than the nose suggests with more of the oiliness seen on the reduced nose and a soft, lychee-like quality. Things take a surprisingly peppery turn in the middle while the brininess glimpsed on the nose has more of a role to play. Water brings the delicacy back to the tip of the tongue, but not at the expense of the gutsy mid-palate. Old-fashioned lemonade, with some Brazil nut and a light minerality. There’s more depth here than you might expect. One of those which becomes increasingly assured if given time. Where better than Campbeltown for an Alcoholiday? Instantaneous charred and roasted qualities: amber malt, vanilla, and nutmeg mixed with barley sugar sweets and some draff (as you do). 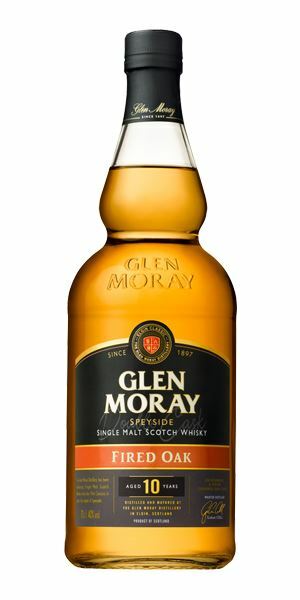 Glen Moray’s fragrant sweet qualities come out alongside poached pear and, in time, sugar puffs. Water shows more of the oak as well as dry-roasted peanut dust. Quite intense to start, with cassia and mace-infused spiced apple juice, sweet malt and zesty citrus. Starts with a bang, but does lose a little energy towards the back. Oak is the driver here, something which is demonstrated when water is added. There’s some cashew and pistachio along with nutmeg, Crunchie bars (honeycomb chocolate) and toasted wood. Can’t help but feel that 43% might have added greater length. That said, it’s eminently quaffable and very keenly priced. Stand back. There’s some Smokestack Magic about to happen. Good, sweet, nectar-rich floral elements combined with juicy fruits and hints that things are starting to gravitate towards the resinous waxiness of middle age. There’s still vestigial notes of lemon cream, and when water is added, more dry wood and a chalkiness. After a gossamer-light start, it anchors itself in the middle of the tongue when that maturity becomes more apparent, along with lightly gripping wood. 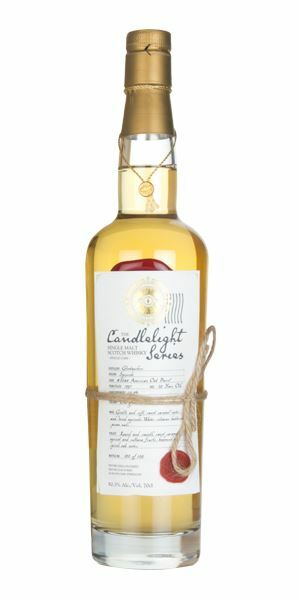 Water brings out this mix of youth – Dolly Mixtures, powdery florals – with more unctuous apricot-like fruits and a little more oak. On the cusp between youth and age. Rather lovely. There’s more cask influence here than on the previous bottle alongside sultana, green fig jam, warm toast and honey and roast chestnut. Mature, elegant, complex with sumptuous aromas which then shift towards dry amontillado (still with a hint of chalkiness). Blooms in time into a heady mix of macchiato, cocoa, black fruit and then golden syrup, sultana cake and hot Swedish cinnamon buns. You can pick out the structure immediately and it adds a note of seriousness to what is a pretty slinky mouthfeel that combines more of the roasted element that seems to be this week’s signature, alongside cinnamon, rich sweet dried fruits, and pot pourri. Things tighten slightly with the water. Long, deep, touch of dried fruit. Made for the season. Keep the water on the side and enjoy. Esbjörn’s Svensson’s kitchen door left Ajar. The aroma leans out. Batch 175 16/11/2018 North British’s first commercial release, plus whiskies from Arran, Glenfarclas and Linkwood.